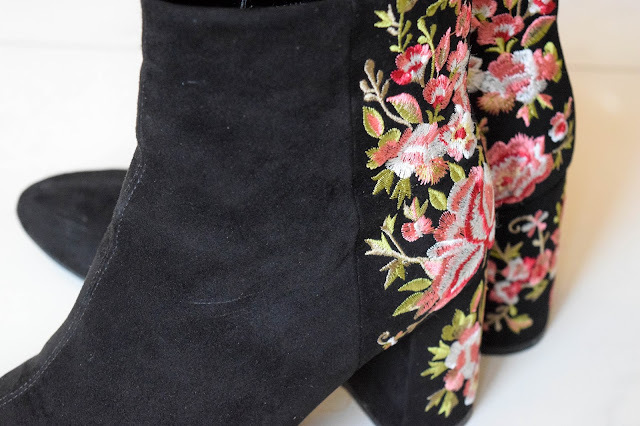 Boots are one of my biggest weaknesses when it comes to shoes. From my favourite Timerlands in two colours to my grey boots with the silver heel. I have so many pairs and I don't feel guilty about it at all! 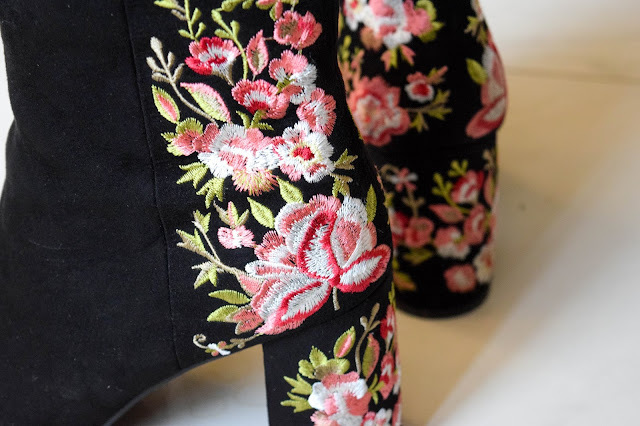 This year for Christmas, John bought me these which fulfil my love and need for a pair of embroidered boots. They're amazing and I've been wearing them an awful lot since Christmas Day. 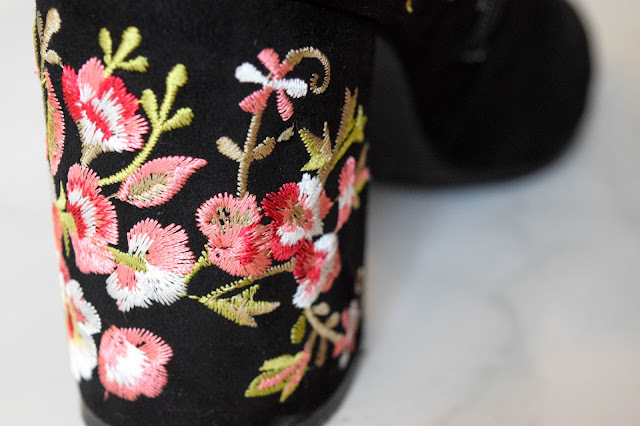 These pretty but simple, black block heel boots have been transformed into a beautiful embroidered pair of boots with this gorgeous pink, red, white and green floral embroidery. 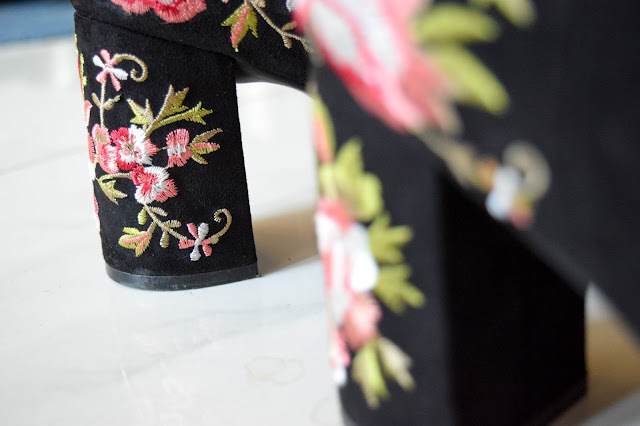 The design wraps around the heel and the back of the boot adding detail to the back and keeping it simple at the front. I love this because it's so subtle but a statement too adding interest to any outfit. 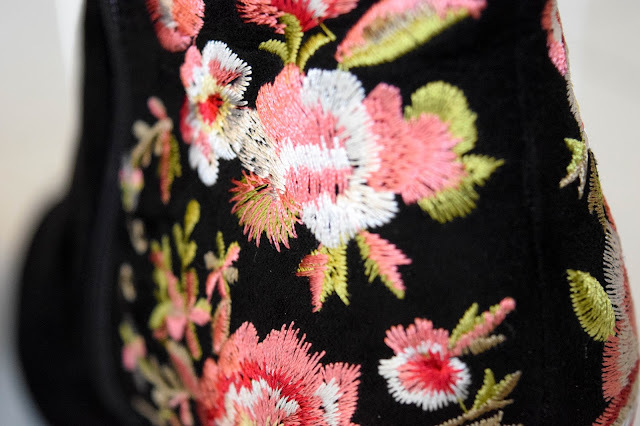 The embroidery is high quality. I've done the most ridiculous tasks in it already from wearing them to Boxing Day lunch to accidentally walking them into some muddy spots. But if they mean anything to anyone, they clean up well when that happens. 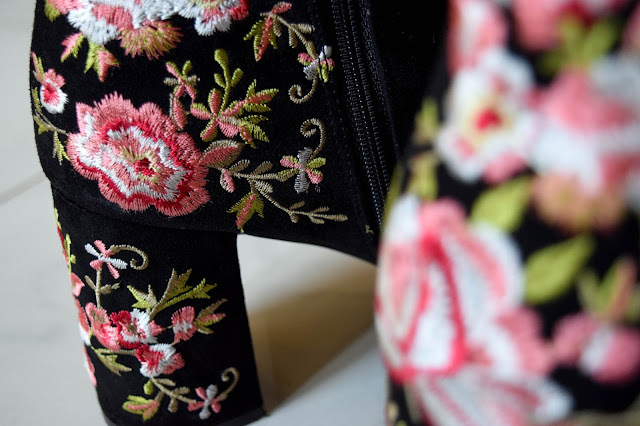 I was concerned that the embroidery on the heel would wear but it hasn't worn at all which just confirms how high quality it is. Ugh, aren't they gorgeous? I was initially worried that they wouldn't be as versatile as I wanted them to be but actually they really are. 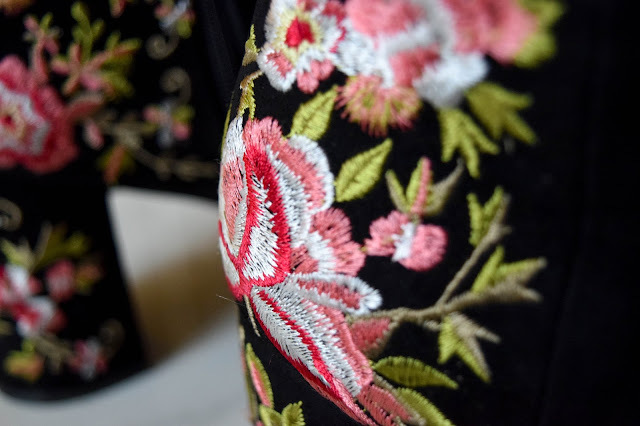 At the moment, I am wearing lots of pinks, reds, greens and whites so it works with a lot of my current wardrobe but I'm also wearing them with denim and they work well with pieces in other colours too. I think the fact that they are black helps them keep their versatility. I'm looking forward to pairing this with some of my dresses too! 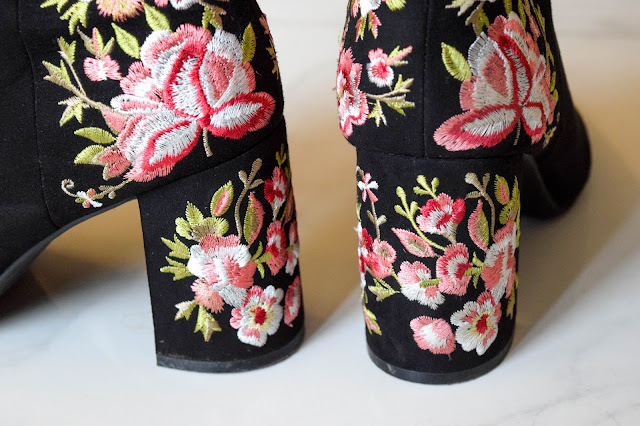 Every time I've worn these out, I've got so many compliments from friends and family. 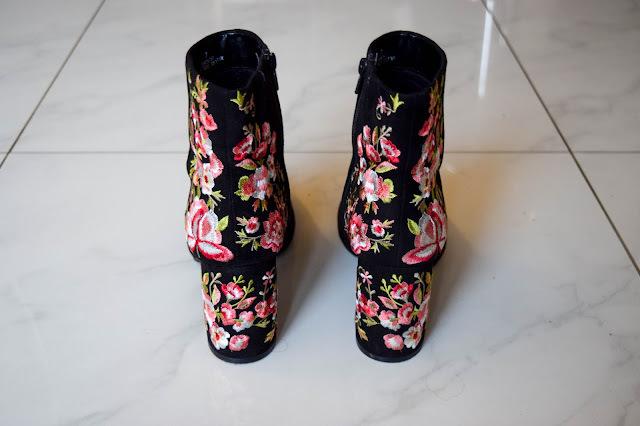 They're a beautiful statement boot and in with my other favourites. 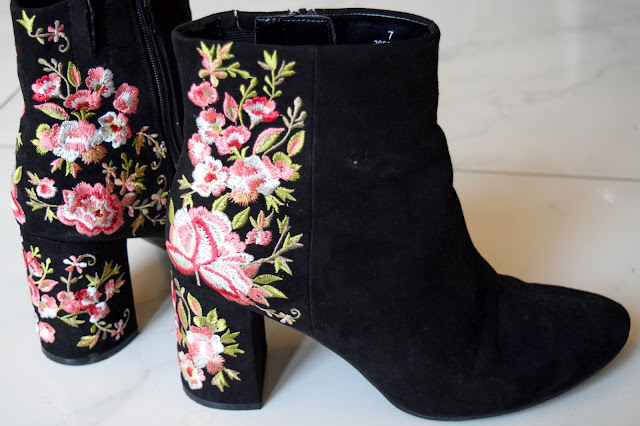 They tick the smart statement boot box in my boot collection and they're just so pretty. 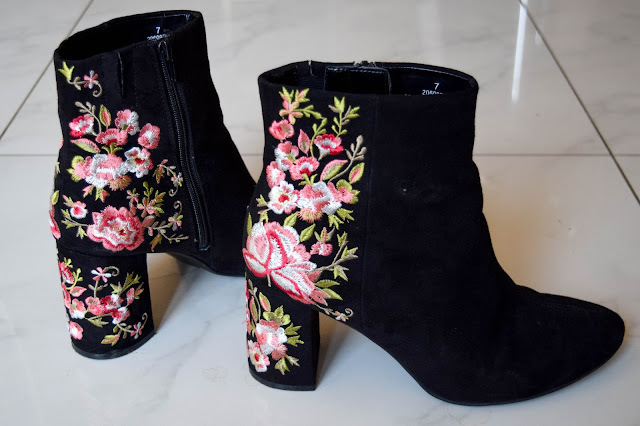 I'm hoping they wear well so that I can keep them as part of my wardrobe for as long as possible. 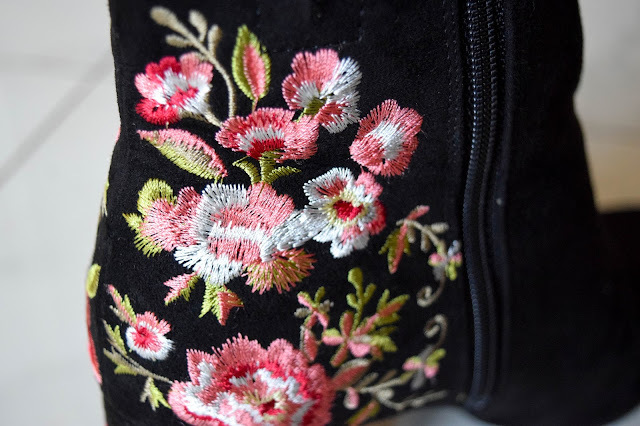 Have you got a pair of embroidered boots? Where are yours from and how do you style yours?